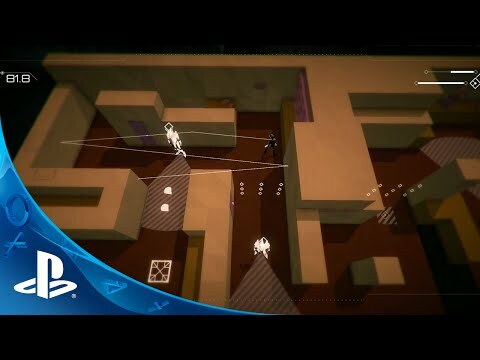 Narrative stealth action from award-winning game designer Mike Bithell. Enter the Volume to halt the corruption of Gisborne Industries and train the masses to rob from the rich in this reimagining of the Robin Hood legend. An arsenal of gadgets await discovery in a quest to rob from the rich and give to the unheard. Sneaking, distracting, avoiding. Locksley is never seen, and seldom heard. As he grows in popularity and notoriety, so will his inventory. A hundred challenging and exciting levels lie ahead, but that is only the beginning of the Volume. Every level of the game can be remixed, added to and expanded upon. The community are free to build their own challenges, even releasing their own takes on the core levels. Volume will evolve, warp and grow as players make their mark on Locksley's legend. (c) 2015 Mike Bithell Games Limited. ‘Volume’ and ‘Mike Bithell Games’ are trademarks of Mike Bithell Games Limited. All rights reserved.